Some Parkinson's disease patients can suddenly become creative when they take dopamine therapy, a study to be published in the March European Journal of Neurology suggests. 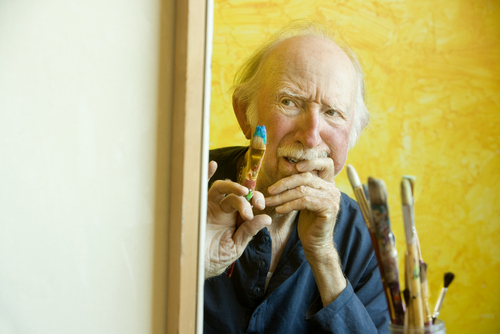 The study included 18 Parkinson's subjects who had become creative after they started taking dopamine, 18 Parkinson's subjects who had not become creative after taking dopamine, and 36 healthy control subjects. Eighty-three percent of the creative Parkinson's subjects produced drawings or paintings, 50 percent produced poetry or novels, and 28 percent made sculpture. By using the Torrence Test of Creative Thinking to compare the three groups, the researchers found that the creative Parkinson's subjects had scores similar to those of the healthy controls, whereas noncreative Parkinson's subjects had scores significantly lower than the healthy controls. It's thus possible that the creative Parkinson's group had creative talent all along, yet did not display it until dopamine unleashed it, the researchers speculated. Determing how dopamine might trigger creative behavior in Parkinson's patients will require additional research. Important information about the psychiatric aspects of Parkinson's can be found in Psychiatric News.